This gorgeous two bedroom two and a half bathroom villa overlooks Green Turtle Cay's white sound harbor and offers phenomenal water views. Our Bucket List provides open style kitchen, living and dining areas and a tropically decorated living space that affords a comfortable island style feel. "Sea Cliff" is a new, exceptionally designed, elegantly furnished 2 story home, offering 3 bedrooms and 3 full bath, plus a den, located within view and close walking distance of a glorious 3.5 mile crescent beach overlooking the turquoise waters of the Sea of Abaco. This panoramic beach has received international acclaim as "One of the ten best beaches in the world" by National Georgraphic and Conde Nast Publicaton. Find yourself in "Another World" in this fabulous 5 bedroom, 4 bath beachfront home with fresh water swimming pool. This spacious 3,500 square foot home is located on prestigious Ocean Blvd. This 1.2 acre property has 100 feet of beachfront on magnificent Treasure Cay Beach, ranked as one of the top ten beaches in the world by National Geographic. 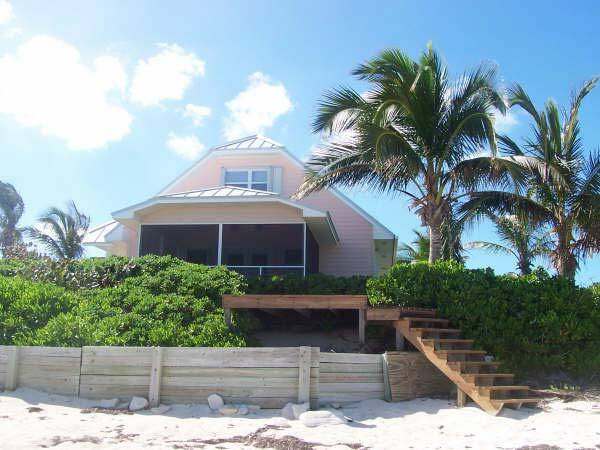 Charming, tropically inspired two bedroom, two bathroom beachfront home located in the quiet community of Leisure Lee on the mainland of Abaco. Great sea views, crystal clear, safe, shallow water and fantastic sandy beach. 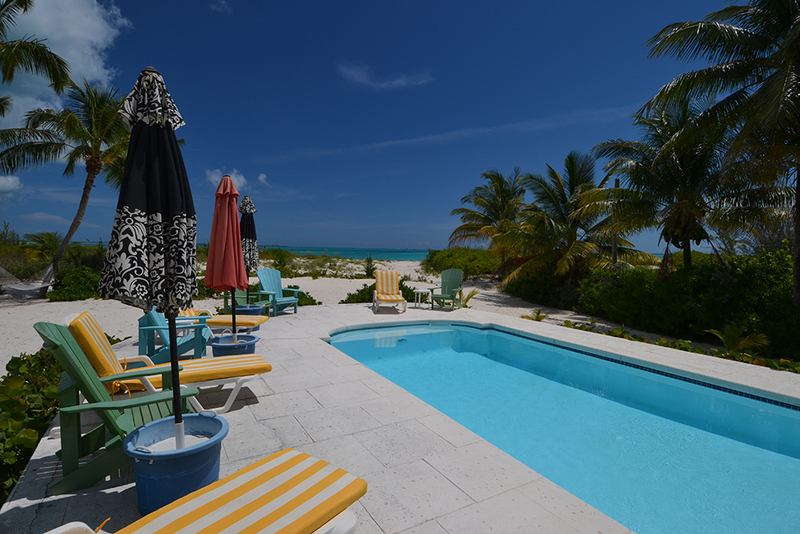 Luxurious, oceanfront 6 bedroom, 3 1/2 bathroom vacation home situated on the tantalizing turquoise waters of Long Bay Beach on Green Turtle Cay, Abaco, Bahamas. This impressive house, built in 2004, is perfect for a large family getaway, offering all the amenities to please each and everyone of the guests staying here! 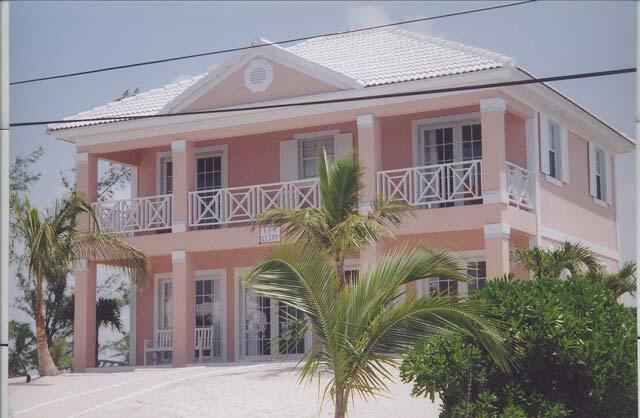 Beautiful three bedroom, two bathroom beachfront home located on the white powder sand and multi colored aqua waters of the hypnotizing Atlantic Ocean. Equipped with all the comforts of home and ideally located between the historic town of New Plymouth and White Sound. 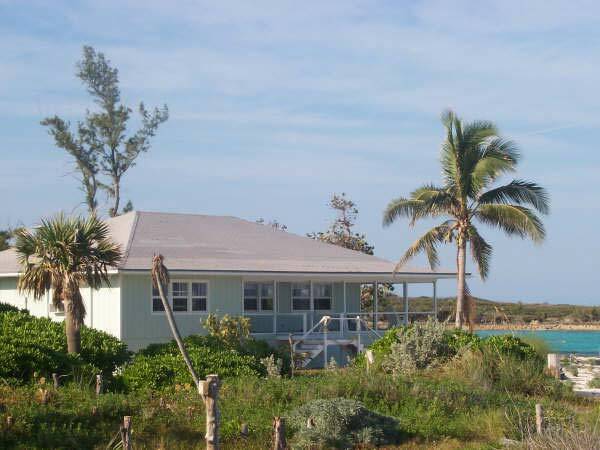 This charming little cottage overlooks the Black Sound Harbour of Green Turtle Cay. It is the perfect rental for those who need dockage or for those who want to be close to the town area, but not in it. If you are looking for a fun, island getaway in a comfortable home environment, this is the perfect vacation rental for you. 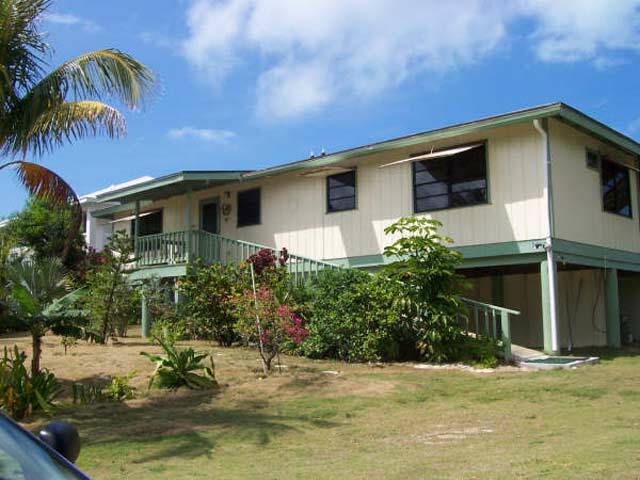 Charming two bedroom, two bathroom island home located on the beautiful child friendly, Bita Bay Beach. Secluded on a small cove, with two small reefs and shoals just a few yards off shore, Bita Bay House offers spectacular water activities for all ages. 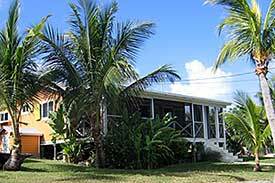 Ideal beachfront house situated on 6 acres of private tropical property featuring all the comforts. 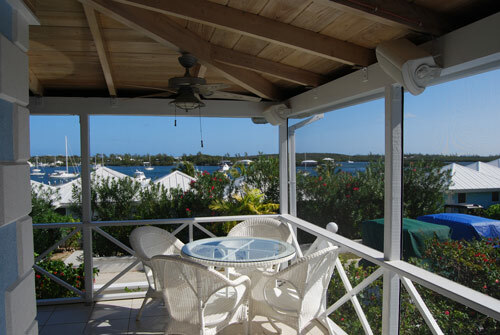 Blue Bay Cottage is a 3 bedroom, 3 and a half bathroom cottage overlooking the White Sound Harbour. This cottage has fantastic views. 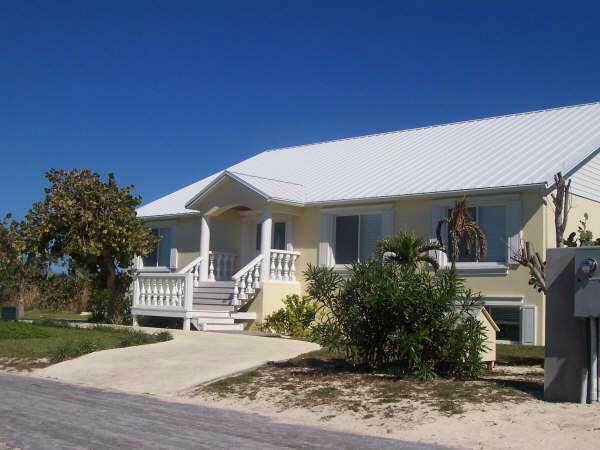 Bluefin, Canalfront Home, Snowmast Crescent, Treasure Cay, Bahamas. Bluefin House is a magnificent 3 bedroom, 2 bath, recently refurbished waterfront home and a boater's paradise. 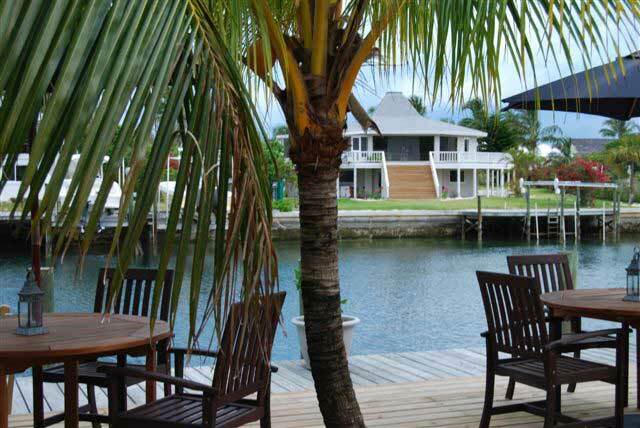 Located in Treasure Cay on a deep water canal, this gorgeous home offers a 100 foot dock able to accommodate a 60 ft. yacht. Fabulous Treasure Cay Beach is just a 3 minute drive away.